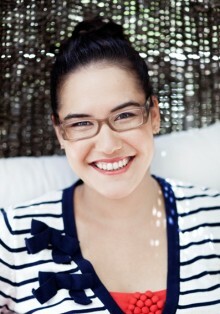 Thai-Australian cook, TV presenter, cookbook author and creator of Marion’s Kitchen food range. Bachelor of Laws/ Bachelor of Journalism, 2005. TV/Radio reporter for the Australian Broadcasting Corporation (ABC). After graduation at QUT I secured a cadetship as a radio/TV journalist at the ABC. This role took me to Adelaide and Renmark in South Australia. After three years as an ABC journalist, I chose to pursue my life-long passion in food by taking leave of my job and enrolling to study a Masters in Gastronomy. In 2010 I became a finalist in a little show called MasterChef Australia. In 2011, I released my first cookbook, Marion: Recipes and Stories from a Hungry Cook. In the same year I launched my Marion’s Kitchen food range, which is now stocked in more than 3,000 stores in Australia as well as selected stores in South Africa. More than 150,000 families in Australia eat a Marion’s Kitchen product for dinner every month. The success of my company took me to Bangkok in 2012 where I continue to create new recipes and products. In May 2013 my television show, Marion’s Thailand, will air on the LifestyleFOOD channel in Australia.